CBC Television is the English language broadcast television network run by the Canadian Broadcasting Corporation. It airs mostly Canadian content with a few British and off network American shows and movies. All shows airing on CBC Television, and most ads, are closed captioned. CBC Television is time shifted for each Canadian time zone except the Newfoundland Time Zone which receives the Atlantic feed instead; hence the times in CBC ads are often qualified as "half an hour later in Newfoundland". Although CBC Television and its French-language sister network Ici Radio-Canada Télé are both owned by the Canadian government and operated as Crown corporations (the term used in Canada for state-owned corporations) as part of the CBC, both CBC Television and Radio-Canada operate as commercial networks by necessity because, unlike non-commercial British counterpart the BBC and many other state broadcasters, they do not collect a television licence fee as a source of revenue, but instead use revenue from commercial advertising to supplement the annual funding they receive from the Canadian government. After introducing a 15-year plan in 1947 for developing television in Canada, the CBC launched CBC Television on September 6, 1952 with their first station, CBFT in Montreal, Quebec, which then aired a bilingual schedule of English programs from CBC Television and French programs from Radio-Canada. Two days later on September 8, the English-only CBLT signed on in Toronto, Ontario. The CBC, as both the state-owned broadcaster and broadcasting regulator in Canada at the time, was at first unwilling to allow privately-owned television stations on the air. Due to not having enough funding then to put more of its own stations on the air across the country, however, the Corporation decided to licence private TV stations to go on the air in cities not already served by a CBC station, under the condition that those stations affiliate with CBC Television and carry at least a minimum amount of 40 hours per week of CBC programming on their schedules. The first such station to sign on was CKSO-TV in Sudbury, Ontario, which began operations on October 25, 1953. The first CBC-owned station (and first TV station overall) in western Canada, CBUT in Vancouver, British Columbia, launched on December 16, 1953. CBFT went French-only on January 10, 1954 with the launch in Montreal of the English-language CBMT. By 1955, CBC Television programming was available to 66% of the Canadian population. In 1958, live CBC programming across Canada became a reality with the establishment of a coast-to-coast microwave network, and a time-delay centre opened in Calgary, Alberta the same year to relay programs to the Pacific and Mountain time zones. The CBC's dual role as broadcaster and regulator ended in 1958 with the establishment of the Board of Broadcast Governors as the new Canadian broadcasting regulator, which soon paved the way for the end of CBC Television's monopoly on Canadian television when, in 1960, the BBG began inviting applications for second TV stations in Canada's major cities, which would operate independently of CBC Television. Seven such stations went on the air in 1960 and 1961, and those stations soon established a new TV network, CTV, on October 1, 1961, by which time they were joined by a former private CBC affiliate in Edmonton, Alberta, CFRN-TV. That same day, the CBC put CBXT on the air to replace the newly-disaffiliated CFRN as the Edmonton CBC station. Over the course of the next two-plus decades following the establishment of the BBG, privately-owned TV stations which had previously been CBC affiliates began to disaffiliate from the network, with those stations either becoming independent or joining CTV as that network's local affiliates. When those stations left CBC Television, the CBC would establish its own stations in major cities, or set up rebroadcasting transmitters of the nearest owned-and-operated (O&O) station in smaller cities and towns, or privately-owned CBC affiliates would likewise set up a retransmitter in smaller cities, to continue CBC Television service in those cities. In some cases, the CBC would purchase a privately-owned affiliate and turn it into a CBC Television O&O station with a new CB_T call sign (with the third letter representing the city or region the station is in), which is the standard for CBC O&Os. Color television was introduced in Canada in September 1966, and CBC Television heralded its arrival with the introduction of a multicolored butterfly logo, which was used at the beginning of programs broadcast in color (similar to the use of the American NBC network's peacock logo). In 1967, television was introduced in northern Canada when the CBC launched CBC North with CFYK-TV in Yellowknife, Northwest Territories. In 1970, the Canadian Radio-television and Telecommunications Commission (which succeeded the BBG in 1968) issued a network licence to CBC Television for the first time. Satellite transmission of CBC Television began in 1972 with the launch of the Anik A1 communications satellite, and CBC North began carrying its TV programming via satellite in 1973. With the transition of all programming on CBC Television to full color in 1974, a new CBC logo (nicknamed "the gem") was introduced on CBC Television in December that year, with a letter C in the middle to stand for Canada, and radiating parts of the C to symbolize broadcasting. CBC Television was the host broadcaster for the 1976 Summer Olympics in Montreal, and for the 1978 Commonwealth Games in Edmonton. In 1981, CBC Television introduced closed captioning for the hearing-impaired on Canadian television. It was the host broadcaster for the 1984 Canadian visit of Pope John Paul II. CBC Television underwent an on-air identity reimaging on January 1, 1986 with the introduction of new network IDs featuring a translucent CBC logo against different background colors which corresponded to the time of day. In 1991, CBC Television's main operations were relocated into the new Canadian Broadcasting Centre in downtown Toronto. 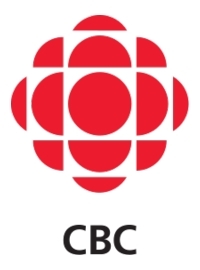 The CBC logo was modified into its present form and introduced on CBC Television in November 1992 as part of a new identification program. The network played host to the 1994 Commonwealth Games in Victoria, British Columbia, and in 1995, the CBC began establishing an Internet presence with its websites CBC.ca and Radio-Canada.ca. Beginning in 1996, CBC Television began carrying an all-Canadian prime time schedule. Over the next few years, the CBC acquired several more privately-owned affiliates and turned them into O&Os (such as CHSJ-TV in Saint John, New Brunswick, which became CBAT and was relocated to nearby Fredericton when the CBC bought it in 1994) or into rebroadcasters of the nearest O&Os (which was the fate of several stations in Saskatchewan and Ontario in 2002). During that same period, CHUM Television-owned CBC affiliate CKVR-TV in Barrie, Ontario left the network in 1995 to become the flagship station of what is now the CTV Two system, while Quebec City affiliate CKMI-TV (which had become a de facto semi-satellite of Montreal's CBMT due to budget cuts) was purchased by Canwest in 1997 and became part of Global Television, and several more private CBC affiliates in British Columbia and Alberta terminated their affiliations with the network between 2005 and 2008 to become affiliates of Canwest's CH system (later renamed as the Canadian version of E!). In 2002, CBC Television and sister network Radio-Canada celebrated the 50th anniversary of the launch of Canadian television, and the long-running Hockey Night in Canada also celebrated 50 years of its Saturday night broadcasts on CBC Television. Digital broadcasting of CBC Television began with the launch of CBLT-DT on March 5, 2005, followed by CBUT-DT in Vancouver in 2006. In 2007, 3.7 million viewers tuned in to watch the debut of the sitcom Little Mosque on the Prairie on CBC Television. Also in 2007, local programming, which had been all but eliminated on CBC Television in recent years (outside of local and regional newscasts) due to several rounds of budget cuts, was revived with the debut of the regional lifestyle program franchise Living, with each show produced and hosted at each of the CBC O&O stations under the name Living (name of city or region). Due to the latest round of budget cuts, however, the Living programs ended production at the end of the 2008-2009 TV season. On October 2, 2009, CBC Television lost another affiliate when CKX-TV in Brandon, Manitoba was closed down by owner CTVglobemedia (now Bell Media) due to budget cuts by CTVgm, the CBC's decision to terminate its program supply agreement with CKX, and CTVgm's inability to find a buyer for the station (including, at one point, the CBC) to take over its operations. On April 4, 2012, the CBC announced that, as part of its latest budget-cutting strategy, it would be shutting down all of its 620 analogue CBC Television and Radio-Canada transmitters on July 31, 2012, with no plans to replace them with digital transmitters. As a result, the number of CBC-owned TV transmitters, all digital, was cut to 27 on the day of the analogue transmitter shutdown, and CBC Television now relies mainly on cable and satellite to distribute its signals outside of its main markets. On June 18, 2014, CBC affiliate CKPR-DT in Thunder Bay, Ontario announced that on September 1, the station would disaffiliate from the network to become a CTV affiliate. After CKPR switched networks as planned on September 1, CBLT Toronto became available on basic cable in Thunder Bay to continue providing CBC service in the city. Beginning with the start of the 2014-2015 NHL season, Hockey Night in Canada, which had broadcast exclusively on the network since its 1952 TV debut until the end of the 2013-2014 season (after Rogers Communications acquired national NHL broadcast rights in November 2013), also began airing on Rogers' family of broadcast and cable networks, including City, Sportsnet, FX and OMNI Television (for Punjabi-language broadcasts). On August 31, 2015, three Corus Entertainment-owned Ontario CBC affiliates, CKWS-DT in Kingston, CHEX-DT in Peterborough and CHEX-TV-2 in Oshawa, disaffiliated from the network to become CTV affiliates. On October 28, 2015, the CRTC announced that Bell Media had applied to disaffiliate its British Columbia CBC affiliates, CFTK-TV Terrace and CJDC-TV Dawson Creek, from the network on February 22, 2016, at which point both stations became owned-and-operated stations of CTV Two. Bell and the CBC had agreed to an early end to the affiliation agreement of both stations (which required regulatory approval from the CRTC) on October 5. On May 24, 2016, the CRTC announced that Newcap Radio, the owner of Lloydminster CBC affiliate CKSA-DT, had applied to disaffiliate CKSA from the network on August 31, 2016 to become an independent station, stating that the CBC had no plans to continue its affiliation agreements with any privately-owned station beyond that date. As CKSA was the last privately-owned CBC Television affiliate, its disaffiliation now leaves the network with only its O&O stations to carry its programming. CKSA disaffiliated from CBC to join Global TV on September 1, 2016. Program Listing: A complete listing of shows that aired new episodes on CBC Television. This page was last modified on 3 March 2019, at 01:18. This page has been accessed 24,654 times.